Fluffy lion dog, there’s nothing more apt for these dogs than that name. Chow Chows are big dogs with fluffy fur all over their bodies and they have the personality to match! If you want a dog that has a long history associated with it, then look no further than a Chow Chow. This dog used to go by the name “Tang Quan” which translated into “Dog of the Tang Empire”. In fact, many statues depicting Chow Chows as guardians are scattered all over mainland China. Chow chows used to serve a variety of purposes from hunting, pulling sleds and basically being companion dogs. Sadly, they were also used for food in the past. It’s a good thing that barbaric practice is no longer done now because it would truly be a shame to serve this dog on a platter. 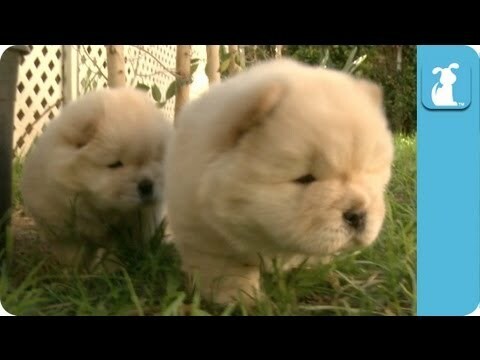 Chow Chows didn’t get their name as “Fluffy lion dogs” without a reason. They are covered all over with coarse fur giving them a cotton ball like appearance. Their coats come in several colours from golden to black. And the thing that sets these dogs apart is a characteristic you won’t find in other breeds. Chow Chows have blue tongues! In the past, Chow Chows were notorious for being aggressive dogs with a high tendency to bite people around him. This has changed over the course of several years as more stringent breeding practices have been put in place to weed out this unwanted behaviour. Early socialization is the key to having a good Chow Chow in your home. Nowadays, Chow Chows are known to be great dogs who are quite independent to the point of being aloof. They also tend to keep to themselves and are quiet unless they get too excited. That hasn’t changed their level of loyalty though because as cute as they are, they can be very protective of their family and can literally transform into a fluffy lion guarding his family from harm! Chow Chows are notorious for being huge loungers which is quite contradictory for a dog that was initially bred to be a working dog. This makes them a perfect dog to keep in small apartments. But that doesn’t mean that it frees you from the task of exercising your Chow Chow. If you want your pup to live to the maximum age of 9 to 12 years, regular exercise will need to be practiced. 1 Chow Chow puppies for sale near you. The Chow Chow is a breed bred for a number jobs, but they were always guardian. The breed may look like it should be named Cuddles, but this breed can be one bad dream if it feels its territory or family is threatened. The Chow Chow is an ancient dog. These dogs are depicted on Chinese pottery dating back as far as 206 BC. No different from most ancient dogs there are a number of beliefs concerning their origin. One school of thought believes that these are the descendants of the Tibetan Mastiff and Samoyed. Another school of thought places this breed as the original ancestors of the Samoyed, and Pomeranian and a couple of other breeds. Either way the one sure point of their history is that they were the dogs of Chinese emperors and merchants. They were bred and used to carry out task as diverse as hunting and sledding. They were mainly used as guardians. 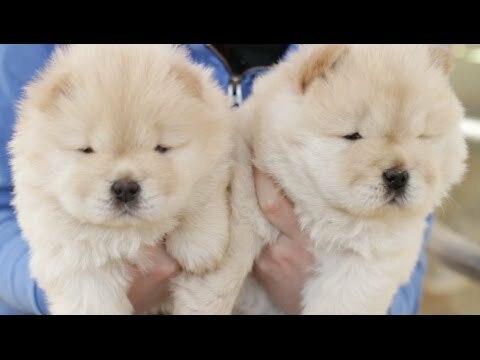 The Chow Chow puppies for sale look as though they were the offspring of a lion and bear. They lion like mane and dense double coat are quite plush looking. This dog will get you noticed. The coats come in black, cinnamon, blue, red and cream. They are not small dogs, neither are they huge. Standing between eighteen and twenty-two inches tall and usually topping out at around seventy pounds they are more than able to carry out any task given. The Chow Chow dogs puppies for sale are working dogs and a strong one at that. The Chow Chow puppies for sale have pink tongues now, but as they grow older will develop the Chow Chow trademark. The Blue-black tongue is a Chow Chow trademark physical trait. The Chow Chow has a famous and sometimes infamous trademark personality trait. These dogs are fiercely loyal and devoted guardians of their owners and family. The Chow Chow puppies for sale will need to be started in training and socialization ASAP for these reasons. A Chow Chow that is not trained is nothing more than a loose cannon. It is for this reason that it is not recommended for the first time dog owner or family with small children. This is not the, get the kids a dog. This is a dog for a family that understands dogs and have children old enough to take a firm alpha posture with the Chow Chow. Having said all of this, with proper training and socialization the Chow Chow puppies for sale will be wonderful addition to your family. It will be less threatening to invited visitors but will probably be at best stand offish of strangers, children, and other dogs outside the family. The Chow Chow puppies for sale will need brushing as much as you can give it to them. Their dense coat is not an easy groomer. They have some health issues. Your vet can discuss this with you. Dont despair. They have some ups. They are an anywhere dog as long as they get a daily walk or some scheduled exercise. They will do fine in an apartment or farm setting. 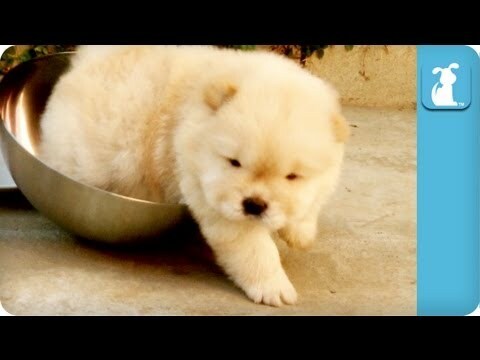 The Chow Chow is best suited for cooler climates though because they are prone to heat stroke. The Chow Chow puppies for sale may require a little more commitment than most dogs. The commitment shown to the puppy you choose will only be a looking glass that shows you all the glorious traits of this wonderful breed. You will be glad that this Chow Chow is your dog. This is a nice way to make your life easier and save time searching for your Chow Chow dog’s puppy for sale. Once your email alert is put in place, all you have to do is check your emails regularly! You can create several email alerts, should you wish to do so.